Is Cost Your Best Way to Shop for LASIK Surgery? While we certainly understand that pricing is a factor in determining whether or not you are able to have LASIK surgery, we put forth every effort to ensure each patient (who is a candidate for LASIK surgery) will be able to pay for it. At Woolfson Eye Institute, we understand that your vision is an extremely valuable asset, which is why we take time with our patients to ensure they are matched with the vision correction procedure that is best for them. In some cases this is LASIK and in other cases it may be PRK or something else. Frequently, in our clinics in Atlanta and around the southeast, we see patients who want LASIK, but are not ideal candidates for the procedure. This is why we encourage our patients to schedule a free consultation, whether in Atlanta or at one of our other locations. During this evaluation you will be able to ask questions about vision correction surgery, as well as tour our office and meet the clinical team. You will also be able to work one-on-one with one of our optometrists or ophthalmologists to determine if you are a candidate for LASIK surgery. If you are deemed a non-candidate for LASIK, you may be offered some other advanced but affordable procedure for vision correction. Your decision should be based on the experience and care you will receive, and not solely on price, but at Woolfson Eye Institute our goal is make LASIK surgery affordable for everyone. In fact, we are able to connect you to financing programs that start as low as $57 per month to cover the cost of your laser eye surgery. You may see offers for LASIK surgery that seem too good to be true. When you see a suspiciously low number, be very wary. This is a frequent tactic used to get people in the door, but may not accurately reflect the true costs associated with the LASIK procedure. LASIK ads are sometimes comparable to commercials advertising satellite TV—the $29/month price in the ad ultimately costs you 3-5 times that number. Typically, these low numbers do not include essential LASIK surgery costs, such as your pre-operative exam and consultation, as well as post-surgical follow-up care. At Woolfson Eye Institute, our price includes your pre-operative evaluation, at least a full year of post-operative care, lubricant eye drops, and for most patients, the Woolfson Lifetime Assurance Plan. 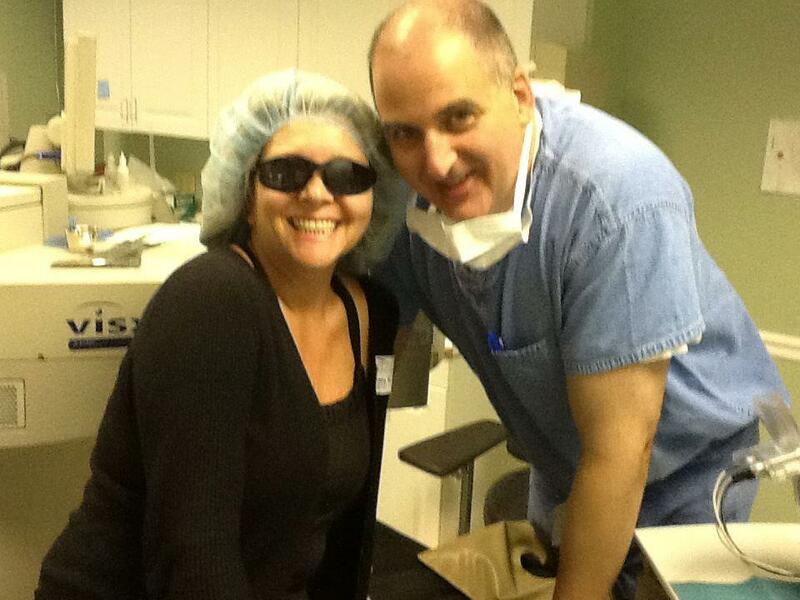 Over 300 eye doctors around the country have chosen Dr. Woolfson as their LASIK surgeon. He is one of the most experienced and qualified laser eye surgeons you will find in Atlanta, the southeast, or anywhere else in the country. Shouldn’t you Trust the Doctor the Doctors Trust®? Call us today at our location nearest you to schedule your free consultation!